Content marketers, content writers, content strategists… Sometimes there’s too much ‘content’ to deal with. Short texts or long articles, emails or blog posts – they may be needed at short notice, and you always have to be sure they meet various high quality requirements. SEMrush is always there to ease your everyday routine: the content specialists now have a handy and reliable tool to check the quality of texts before publication. 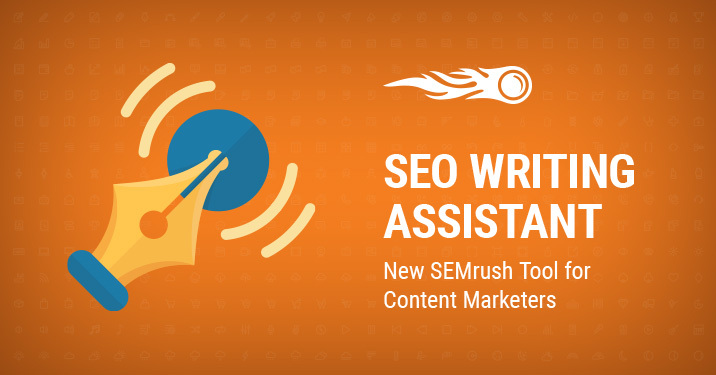 We’re proud to present our very own unique TEXTension – SEO Writing Assistant! What is the SEO Writing Assistant? What we’re offering is a smart extension for the Google Docs service, using recommendations straight from our SEO Content Template (SCT) to help you ensure your text is written in SEO-friendly style. Our recommendations and analysis are based on your Google top 10 rivals for a given keyword. All of the above metrics are based on your best-performing rivals in Google’s top 10. More metrics and updates to come soon! It’s easy! 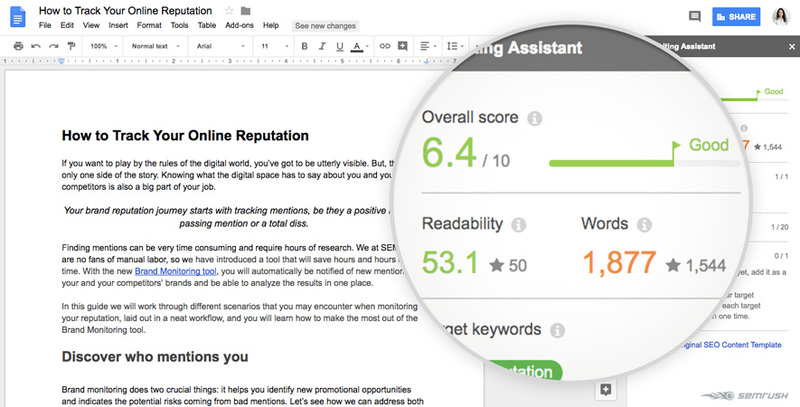 Find the SEO Writing Assistant in the Chrome Web Store. 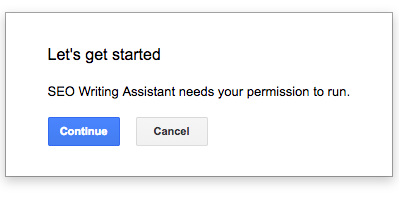 After pushing the ‘Free’ button, you will be taken to a new Google document. After giving your permission to run the add-on, find it in the ‘Add-ons’ tab and then select ‘Show’ to see the add-on sidebar on the right, which will prompt you to connect to your SEMrush account. 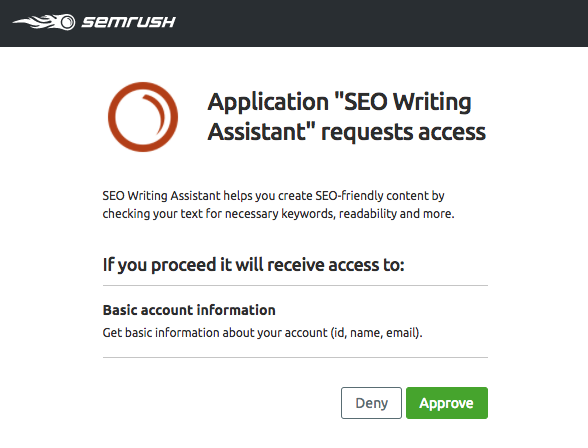 Next, click on the ‘Connect SEO Content Template’ on the left, log in to SEMrush if required, and give access to the application by pressing the ‘Approve’ green button. After selecting ‘Create new template’, just type in any keyword(s) to see our recommendations for them. That’s it. 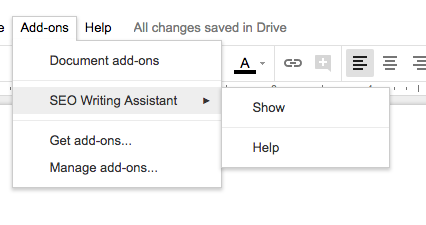 We hope you enjoy our newest feature, which will simplify your work. Don’t forget to share your experience and feedback by sending us an email at [email protected].